Drawing on cutting-edge research in ecocriticism and environmental poetics, Yvonne's book is an important new contribution not only to Hughes studies but to environmental studies more widely. For more information and to purchase the book from its publisher, Palgrave MacMillan, please click here. The Ted Hughes Society is pleased to announce the publication of the latest issue of the Ted Hughes Society Journal. As well as showcasing a beautiful new design for the journal, this issue features the first selection of essays drawn from the recent colloquium hosted by the Ted Hughes Network at the University of Huddersfield in June 2017, and includes discussions of Hughes's relationship with Sylvia Plath, his reading of D.H. Lawrence and his place within Yorkshire and Irish contexts. The Society is also pleased to announce that this issue of the Ted Hughes Society Journal represents a significant step in the widening of readership for high-quality scholarship and research on Hughes, as this is the first issue available open-access to all interested readers. This issue of the Journal can be accessed here. An event of considerable interest to readers of Hughes will be taking place later this month at Doonreagan, the house in Connemara where Ted Hughes and Assia Wevill lived in 1966. The Festival of Wild Atlantic Writing will be bringing together an array of speakers to explore the rich literary heritage of this beautiful part of Ireland. For full details of the programme and the opportunity to book a place, please visit the Doonreagan website here. Danny is keeping Keith Sagar’s bibliography up to date for the Society (and inserting items that Keith missed). We intend to maintain a list on this website of recent publications, including web availability of early obscure publications (Terry Gifford’s 1978 essay on the Wodwo play ‘The Wound’ is now available on his website, for example, together with his 2001 interview with Fay Godwin for Thumbscrew) and research disseminated via filmed talks or podcasts. If you find a publication, talk text, or podcast that we might have missed, do sent details to Danny just in case it might have been overlooked. Meanwhile Mark Wormald has published an article on Hughes’s images of river entomology, ‘Poetic electrons – Ted Hughes and the wonder of flies’ in Gamefisher 2017, pp. 46-49, which can be obtained by sending a cheque for £10.00 payable to ‘Salmon and Trout Conservation UK’ at PO Box 1301, Maidstone, ME14 9PX (E: hq@salon-trout.org; W: www.salmon-trout.org). But we would also like to hear from you. So keep Danny informed of upcoming publications. 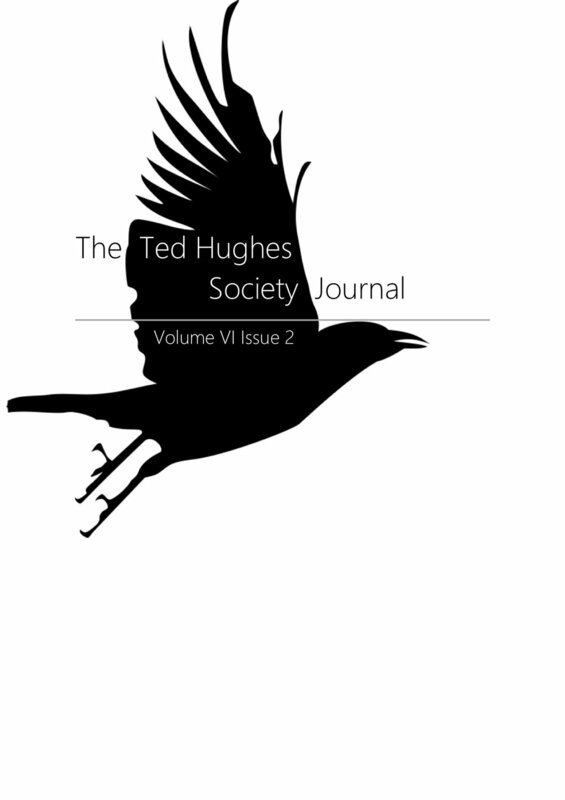 The Society is pleased to announce the publication of the latest issue of The Ted Hughes Society Journal. The issue features essays on a range of subjects including Hughes's interests in the occult, ecology, and fishing, as well as further reflections on Jonathan Bate's recent biography, reviews and an editorial. The issue is available free of charge to all members of the Society, and can be accessed here. We are pleased to announce that Lord Melvyn Bragg has agreed to become a patron of the Ted Hughes Society. Ted Hughes is an outstanding poet – one of the best we have had. I read his work from the first collection he published. We became friends and I feel very honoured to be asked to be a Patron of the Ted Hughes Society. We are very grateful to Lord Bragg for lending his support to the work of the Ted Hughes Society, and helping promote the scholarly discussion of Hughes's work. In October 2017, the first volume of The Letters of Sylvia Plath will be published by Faber and Faber. In anticipation of this major event in scholarship, the Faculty of Arts at Ulster University are organising a major conference on Plath, her writing and her contexts. The conference will take place 10th-11th November 2017 in Belfast. For full details and for the Call for Papers, please see the conference website. Professor Neil Roberts, one of the leading scholars on Ted Hughes, will be giving a public lecture in Huddersfield on Thursday 9th March 2017. This lecture, delivered under the auspices of the University of Huddersfield's Ted Hughes Network, is titled 'Gaudete: the Shaman and the Poet'. Huddersfield Performance of OBRA Theatre Production of "Gaudete"
The OBRA Theatre Company's new production of Gaudete will be having its only performances within Yorkshire at the Lawrence Batley Theatre in Huddersfield on Tuesday 14th and Wednesday 15th March. This will be a great opportunity to see an interpretation of one of Hughes's most powerful works, staged right in the heart of 'Hughes Country'. The OBRA Theatre group will be bringing their production of Gaudete on tour in the UK in March 2017. This promises an opportunity to see one of Ted Hughes's most important works interpreted for the stage and will be of interest to all Hughes readers. For more information on the production and for the full dates of the tour stops, check out OBRA's website. We are pleased to announce that Michael Morpurgo OBE, FRSL, FKC, DL has agreed to become a Patron of the Ted Hughes Society. Ted Hughes was a family friend and a great supporter of 'Farms for City Children' which Michael and his wife Clare established at Nethercott House, Devon, in 1976. We are delighted to announce that the first Patron of the Ted Hughes Society is Marina Warner DBE, FRSL, FBA. Ted Hughes thought that Marina’s review in the TLS of Shakespeare and the Goddess of Complete Being was perhaps the only one to understand what he had been about. He wrote to her, ‘I knew that our academic friends would leap into the role that I through Shakespeare have given them: Angelo’s, and that my book would appear to them as the stews of Vienna’. At the 2016 dinner for Ted’s birthday, hosted by our partners the Elmet Trust, Marina said, ‘It was Ted Hughes’s deep receptivity and generosity to others – I was lucky but I was only one of numerous recipients – that stood out for me in the little time I knew him’. We are grateful to Marina for her support for the work of the Ted Hughes Society and will be pleased to welcome her into our conversations and events. With all apologies for the late notice... The Ted Hughes Network have issued a call for papers for their upcoming symposium: Ted Hughes & Place. This two-day event in June 2017 is looking like it will be a major intervention in Hughes scholarship, and anyone interested in submitting a proposal to speak at the event should check out their website now. The deadline for proposals to be received is 31st December 2016. The Ted Hughes Society is pleased to announce that we are extending institutional membership to all members of The Elmet Trust, The Ted Hughes Project (South Yorkshire) and The Ted Hughes Network. Members of these organisations can now enjoy the full benefits of Society membership, including access to The Ted Hughes Society Journal where they can read the latest cutting-edge scholarship on Hughes's life and work. If you are a member of any of these organisations, please get in touch with your contacts there and they will explain how to access the journal. We've just added a new essay to our 'Ted Hughes: Life and Work' section: Ann Skea explores Hughes's unflagging support for the work of the Arvon Foundation, a residential creative writing programme which has been supporting writers, poets, musicians and artists for decades and is still a central part of the British literary landscape today. For more of Ann's wonderful writing on Hughes and his work, make sure you check out her website: The Ted Hughes Homepage. The Society is pleased to announce the publication of the latest issue of The Ted Hughes Society Journal. The issue features a host of essays from last year's International Ted Hughes Conference, reviews and an editorial. The issue is available free of charge to all members of the Society, and can be accessed here. Alongside his own vast corpus of publications, one of Ted Hughes's most important contributions to poetry was his unflagging support for other poets and writers, and particularly his promotion of translated works. Together with his lifelong friend Daniel Weissbort, in 1965 Hughes founded Modern Poetry in Translation, a magazine which would introduce the finest foreign-language poetry to an English-speaking audience, and which remains one of the most vital and important publications on the poetry scene today. On the MPT website, those readers who want to get a sense of how it all got started can now access a brilliant micro-site exploring that very first issue of the magazine, edited by Hughes and Weissbort, and including the issue in full: Modern Poetry in Translation No. 1. Yesterday (17th August) was the 86th anniversary of the birth of Ted Hughes, and news has reached the Society that one place the birthday was marked was the 'This Day in History' programme on Cape Town's local radio station, Cape Talk. It's good to hear that Hughes's profile remains high in South Africa. And of course, as we were reminded by Claire Heaney at last year's International Ted Hughes Conference, Cape Town's own most famous literary son J.M. Coetzee is a significant reader of Hughes as well, exploring the poet's imaginative attitude towards animals in his works The Lives of Animals and Elizabeth Costello. All further testament to Hughes's standing as a poet of truly international importance... And thanks to Society member Pauline Friedman for drawing our attention to these African birthday wishes. We at the society were saddened to hear the news of the death of Gerald Hughes, Ted Hughes's beloved elder brother, at the age of 95. 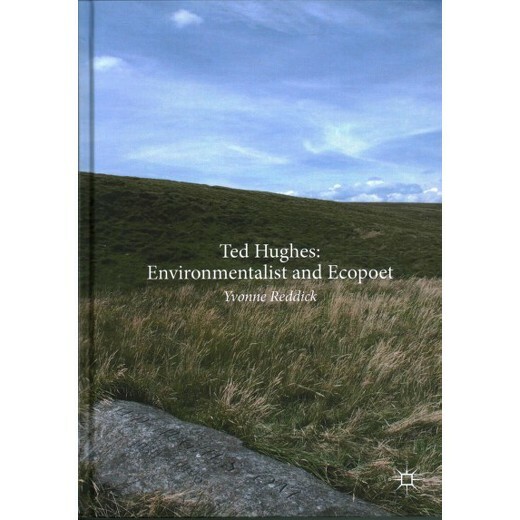 Gerald's influence on Hughes and his work was truly formative, and his recent memoir of their relationship, Ted and I is essential reading. The Ledbury Poetry Festival took place between 30th June and 9th July 2016, and in amongst the many panels, readings and talks there were some of great interest to readers of Ted Hughes. The Festival has now made a good number of these events available as recordings through their podcast, including a fascinating talk and reading from the poet and artist Frieda Hughes about her marvellous new collection Alternative Values.